The band has decided to lay the groundwork for their next album now, at the turn of the tide. The second album, carrying the project name MAGNUM OPUS, will dig deep into the murderous depths of dark, experimental industrial noise metal, unearthing the unspeakable and renewing the industrial music world once and for all. The aim with the crowd funding campaign is to raise money for the recording process of the album, to deliver the MAGNUM OPUS in the best, highest quality to the audience. The release will happen simultaneously on CD and vinyl as well as a digital release via iTunes and Spotify. 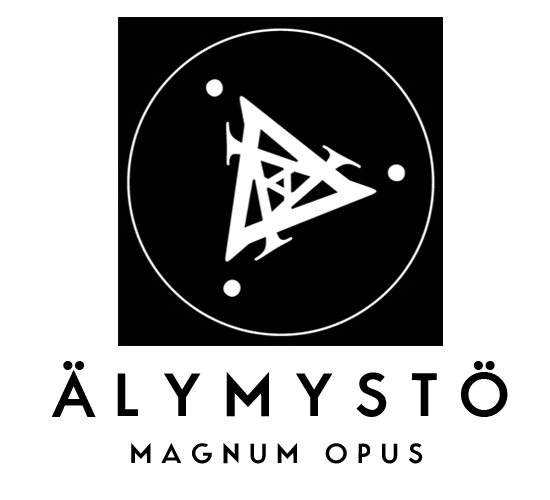 As perks, we are offering a wide array of hands-on Älymystö regalia, ranging from album sets to T-shirts, even offering to record a song on a topic you choose. Your name will be engraved forever on the release. Support your local industrial weirdness, join the Intelligentsia, become a better human being.